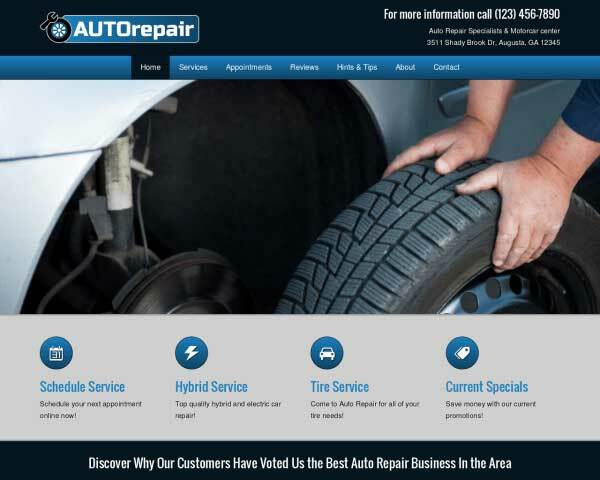 The Car Mechanic WordPress theme makes it easy to quickly get an auto repair website online fast. Everything you need is included and pages for automotive services are already set up and ready for your own text and photos. 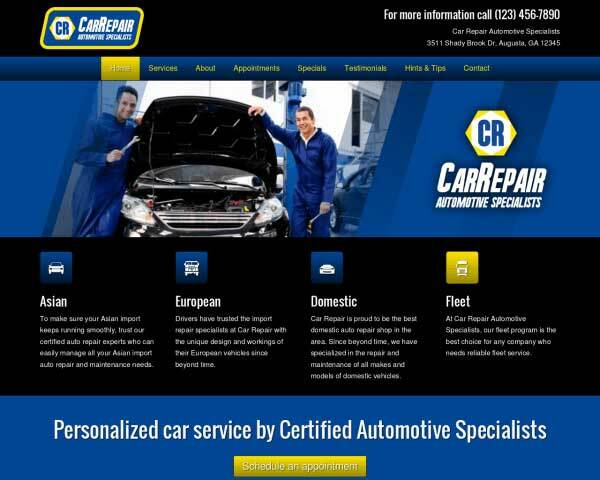 Allow visitors to book online anytime with the Car Mechanic WordPress Theme's built-in reservations form. The fields can easily be customized to suit your needs. 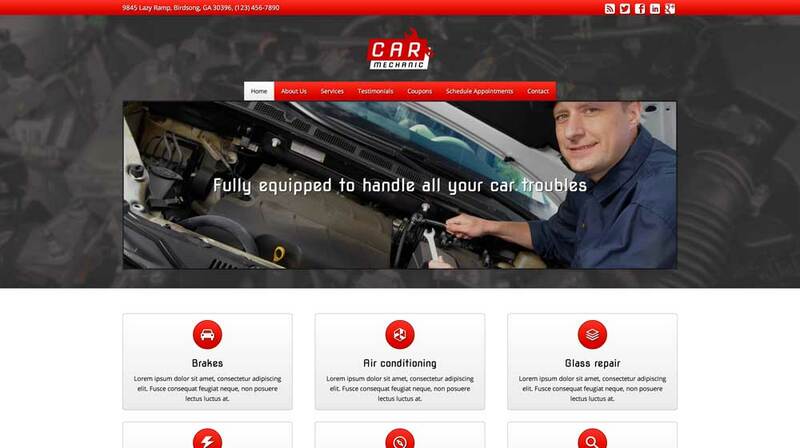 The Car Mechanic WordPress Theme is the result of invaluable input from actual service station owners. So you can rest assured that it meets your needs. 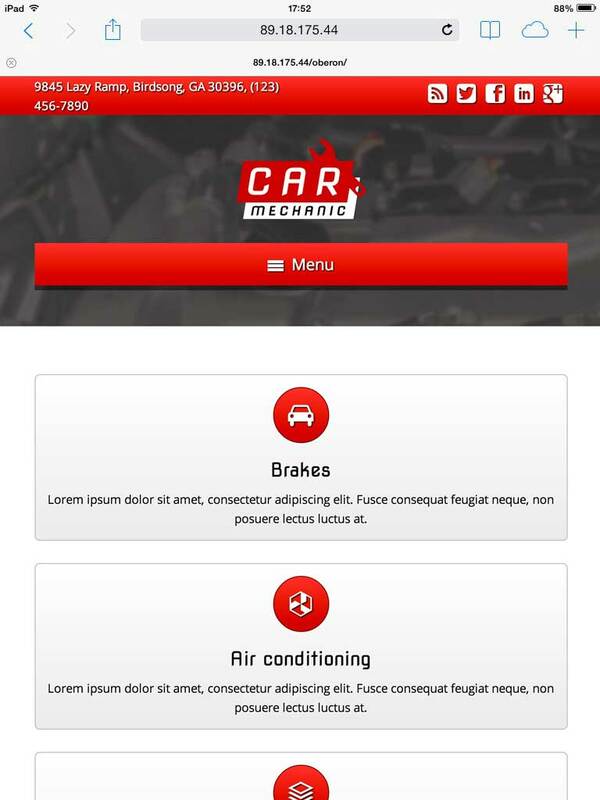 The Car Mechanic WordPress Theme's contact page is built with useful features like an integrated Google map, route planner and a contact form that can be customized to suit your needs. 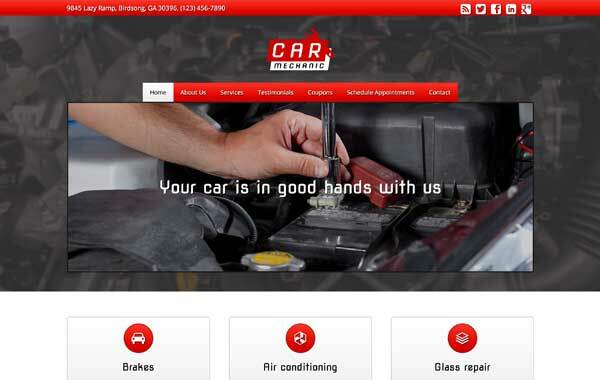 The Car Mechanic WordPress Theme allows you to link images or buttons to PDF files that customers can download and print, a great way to offer coupons online and boost new and repeat business. 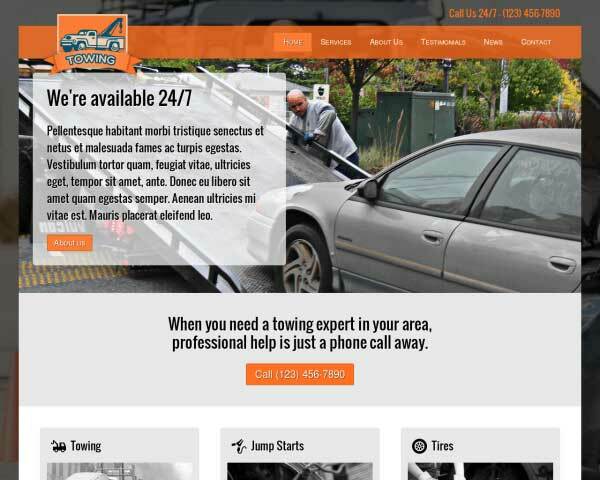 Our designers infused the Car Mechanic WordPress Theme with warm, inviting colors and a clean layout. The only thing that remains is to add your details and you're ready to go! 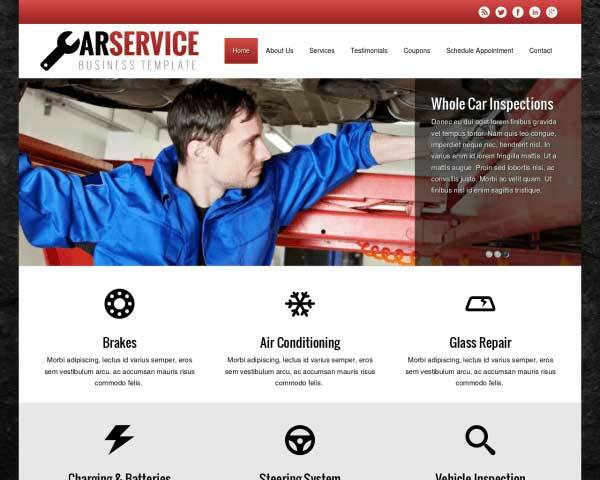 The service detail pages of the Car Mechanic WordPress Theme allow you to go into detail about what you and your team can do for your prospective clients. 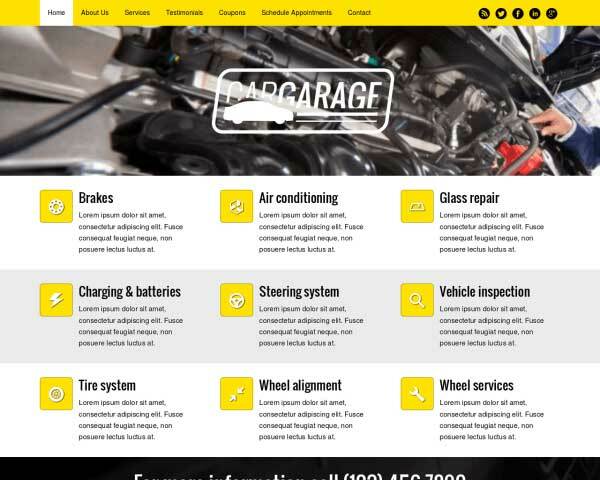 The Car Mechanic WordPress Theme offers a birds eye view of your services via the strategically placed service overview, which appears on the homepage. 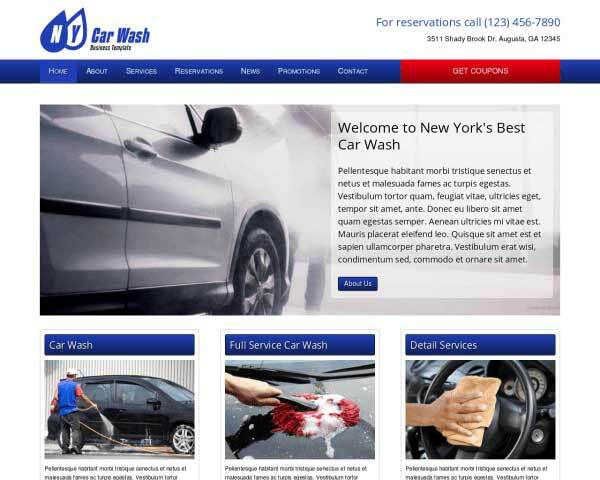 Take advantage of the social media options included with the Car Mechanic WordPress Theme to get the word out about your service station and attract new visitors online. 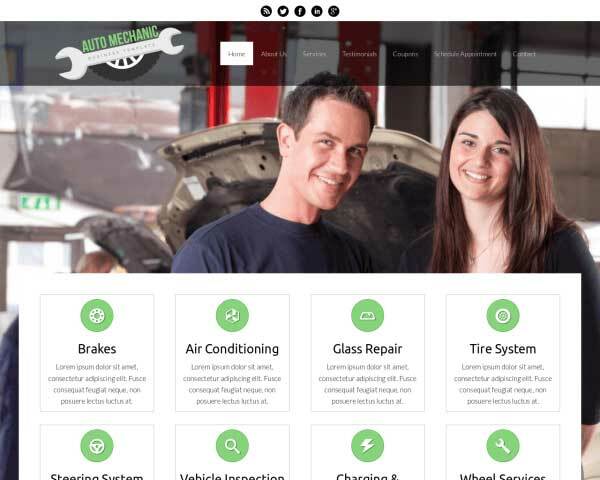 Give the Car Mechanic WordPress Theme a personal touch by introducing each member of your team and sharing your approach to fantastic customer service. 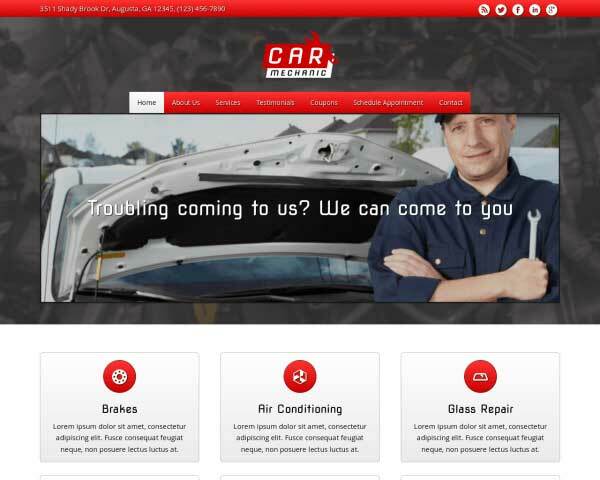 The Car Mechanic WordPress Theme has a place to add your business' trust icons. Either the associations you're part of or the brands you use, or both, can be placed here. 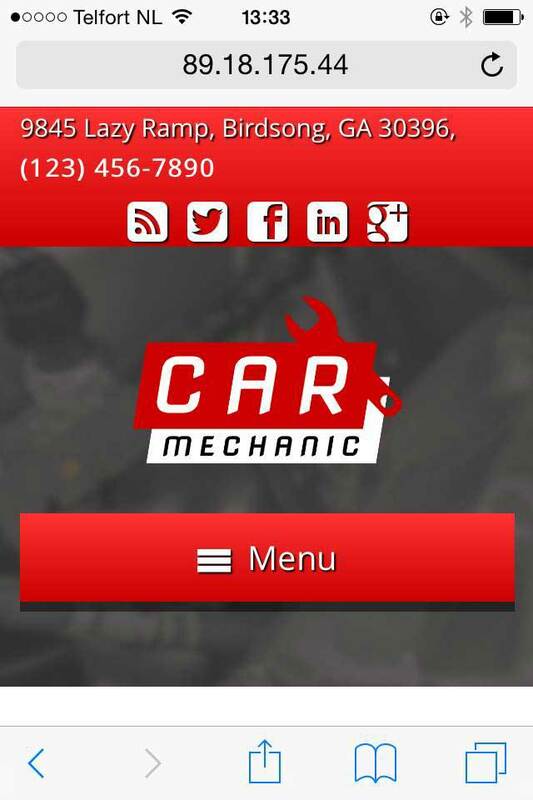 Whether scheduling an yearly inspection on their iPad at home or desperately seeking a local mechanic on their smartphone by the exit ramp, your customers will enjoy a great mobile experience when you build your website with the responsive Car Mechanic WordPress theme. Its mobile optimized design will automatically adjust your text and images to display neatly on any screen size, without any extra work required. You can feel confident that the mobile version of your new website will have the same professional look and user-friendly functionality of the desktop version on any handheld device. Plus, mobile visitors can simply tap on your phone number to dial.